At that moment, my daughter brought something to my remembrance. When she was younger I would keep her hair in protective styles throughout the week and leave it out on the weekends. The older she got, the more I grew tired of dealing with tangled hair on Sunday night after a weekend of WILD HAIR. Eventually, I stopped letting her wear her hair out unless it was a special occasion. What that statement did, was remind me that she loves her hair and wants to enjoy it fully outside of wearing ponytails. 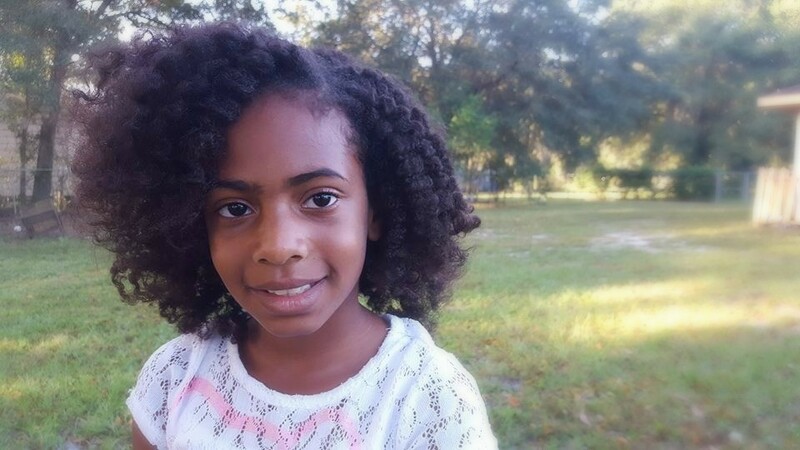 We love the Just for Me brand around our house for her hair and was pleasantly surprised we were able to try their new natural hair nutrition line. The best part is the smell and how it helps detangle my daughters hair with ease. 1.Protect the ends. Although she wants her hair out, the ends are the first to split and get damaged. You will end up cutting more off than you wanted to when its time to clip your ends. 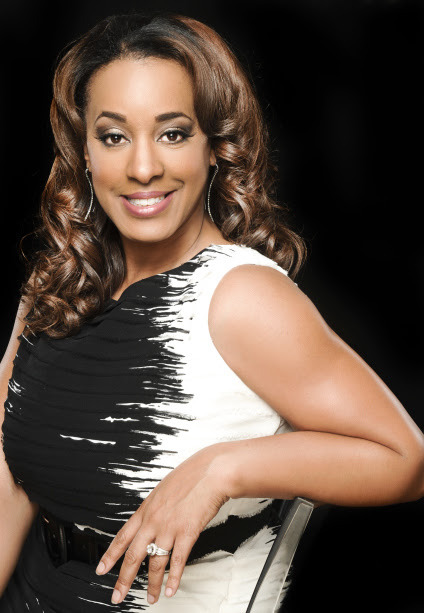 Tip: Twist up, updo’s, pony tails and buns are just a few examples of protective hair style you could try. 2.Moisture, Moisture, Moisture! As my daughter grew, either I wasn’t fully taking care of her hair or the structure changed. Either way her hair became very dry. It would drink product. Dry hair breaks off, so it keep it moisturized. Tip: Keep a spray water bottle around to spray daily. Then add Just For Me moisture rich styling smoothie to seal it in the water. 3.Use your fingers to find hidden knots. The worst part of my daughters tangled hair seemed to be in the middle of the back of her hair. Just from looking at it, you just see hair. When you try to part it or run your fingers through it, you feel knots and more knots. I’ve learned to take away my time and gently pull them apart. I’d hate to tear off her hair because I am in a rush or not paying attention. When you use your fingers, you can better feel knots and detangle it by gently pulling it out. A comb would easily rip the hair. Tip: Saturate the hair with a good detangler or leave in conditioner and massage out the knots or wash the hair when it’s in a ponytail or twist set. 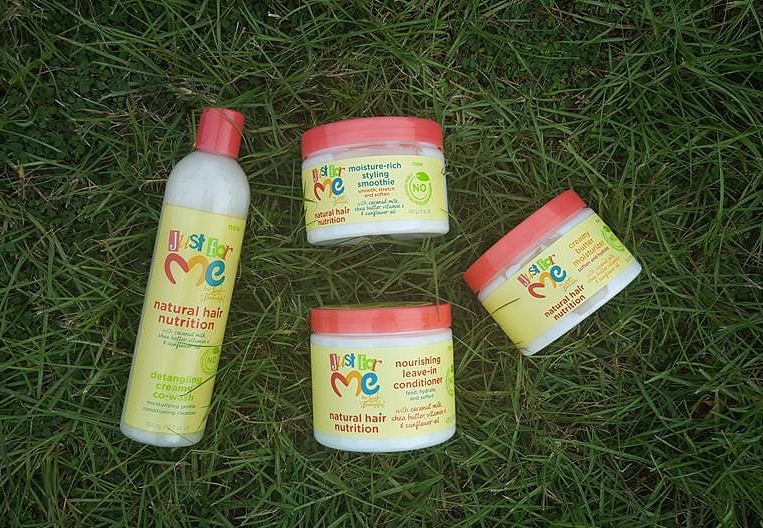 So this weekend, we tried the Just for Me new Natural Hair Nutrition line. I decided to grant her wish and let her hair out but give her a heatless curls as well. I went with a twist out and we love how defined it came out. 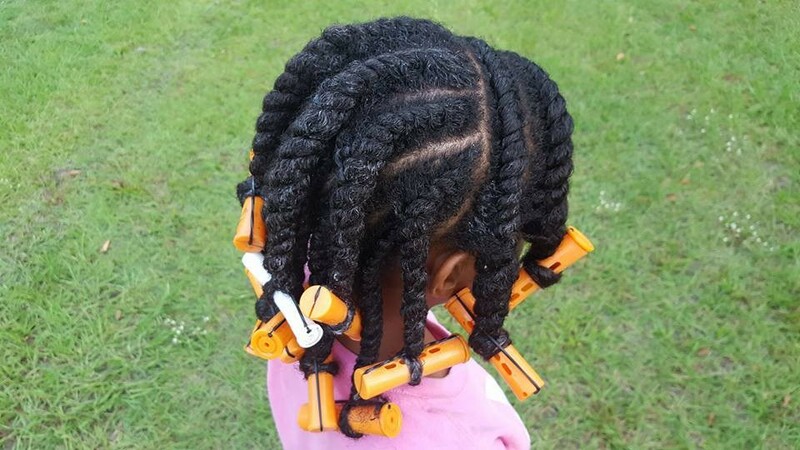 For this style, I started out with the Just for Me detangling creamy co-wash, then twisted her hair with the nourishing leave-in conditioner & moisture rich styling smoothie. I love that I was able to finger detangle and twist her hair with ease and not rip her hair out. 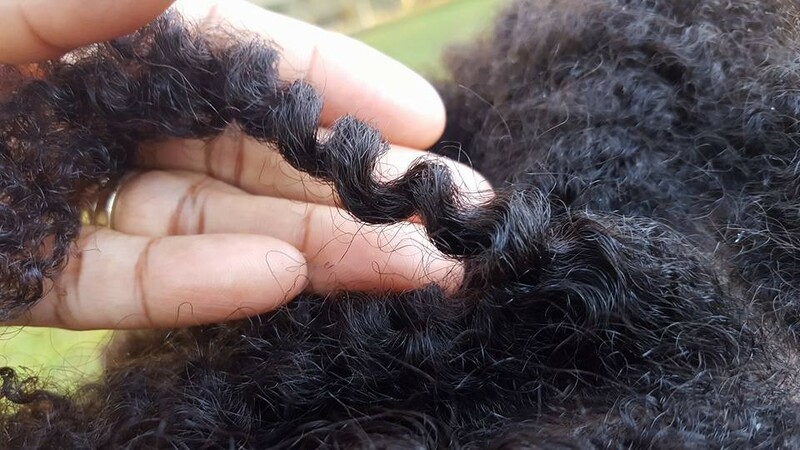 The next morning, her hair was soft and the twist-out was defined. 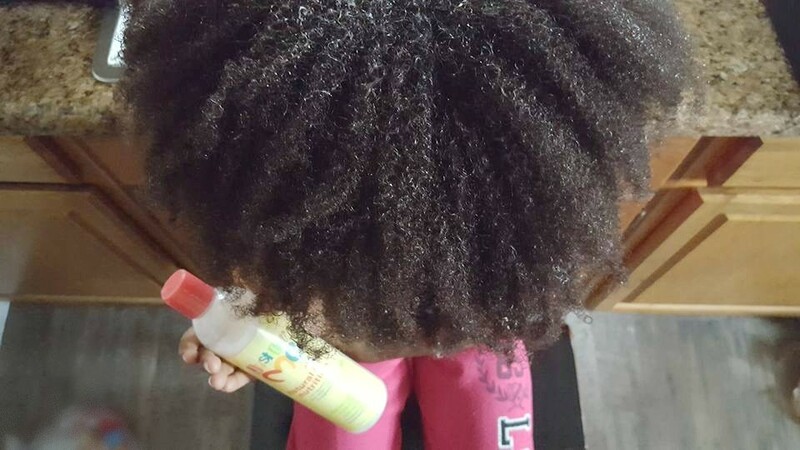 Detangling creamy co-wash conditioning cleanser helps remove impurities without stripping hair of natural oils. Moisture-rich styling smoothie helps with daily styling of your little curlies hair while protecting and restoring their delicate tresses. 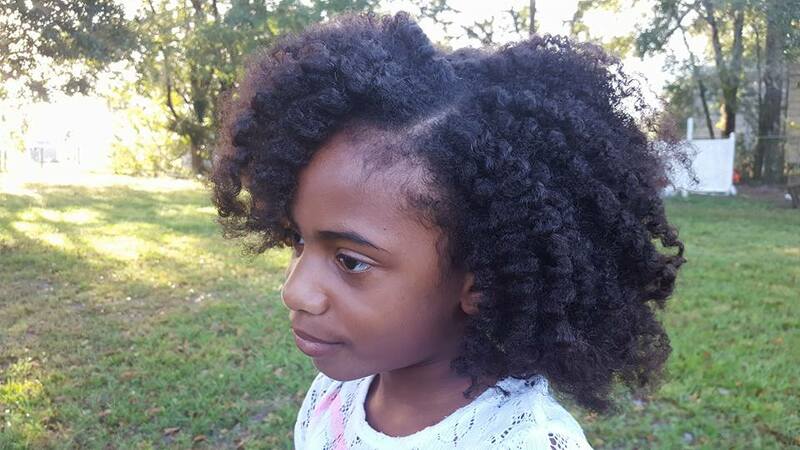 Creamy butter moisturizer provides the perfect balance of moisture needed to hydrate and style your little one’s thirsty coils and curls. Nourishing leave-in conditioner is the perfect daily detangling conditioner to help soften, smooth and hydrate your little curlie’s delicate tresses. 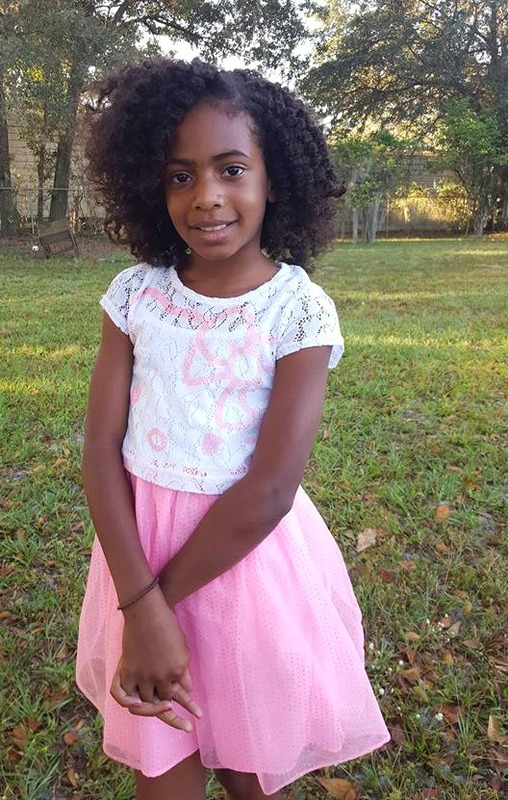 I feel comfortable with letting her wear her hair wild and free because I know that the Just for Me Natural Hair Nutrition line will keep her hair manageable when it counts. Starting from short. My BIG Chop!